Dentures in Columbus with Facelift Results! The Denture Fountain of Youth®, are the first dentures designed to do everything your natural teeth did. They allow you to eat most or all of your favorite foods. They allow you to speak clearly and know that your dentures are secure. And they look beautiful when you smile. FOY® Dentures do more. They provide a solid foundation for the muscles and skin in your face. This rejuvenates your appearance and brings balance to the head, neck, and jaw, with benefits that can extend from the top of your head to the tips of your toes. This page explains the secret of the Denture Fountain of Youth®, but the best way to learn how you can benefit is to call (614) 848-5001 or email Firouzian Dentistry in Columbus, Ohio. The results you can achieve with FOY® Dentures depend on the exact condition of your mouth, and can’t be predicted without a full exam. FOY® Dentures benefit from the perspective of neuromuscular dentistry. Neuromuscular dentistry looks at your mouth as a dynamic, integrated system of muscles, bones, nerves, teeth, and more. So when FOY® Dentures are fitted to you, they aren’t fitted as if they’re going to sit in a motionless mouth. They are fitted to participate in a constantly mobile mechanism. This helps your dentures retain their fit as you chew, talk, or laugh. Neuromuscular dentistry also teaches that the muscles of the jaw system also work with muscles in the head and neck, and actually play an important role to stabilize the body whenever you exert yourself. This is the essential principle behind neuromuscular mouthguards that enhance athletic performance. It’s also the reason why properly fitting dentures can reduce the risk of falls. When we are young, our teeth, skin, and muscles all develop together. Your skin, muscles, and other tissue are designed to fit firm and taut over a full set of teeth. As your teeth wear down and are eventually lost, your face loses height and your skin, muscles, and other tissues are now too large. These hang down or fold over, creating a sunken, wrinkled mouth, hanging jowls, turkey neck, and other signs of aging. Facelift surgery claims that the solution to this problem is to cut away the “excess” and stretch what’s left over a face that’s reduced in size. Not only does this require extensive downtime and carry significant risks, it means you might end up not looking like you. FOY® Dentures, on the other hand, say that the right solution is to replace your missing teeth at the proper height. How do we find that height? 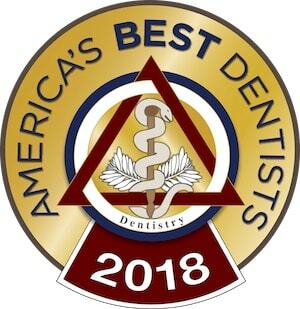 Neuromuscular dentistry tells us that the muscles remember, and that when we find the position of maximum rest for the jaw muscles, we’ll have discovered the proper vertical dimension of occlusion (VDO). Because of changes in the skin and elsewhere, you won’t look like you did when you were 20, but you might look 10 or 20 years younger. How young will you look? The only real way to find out is to try the Denture Fountain of Youth®. To schedule a consultation and talk about possible results, please call (614) 848-5001 or contact Firouzian Dentistry in Columbus, Ohio.